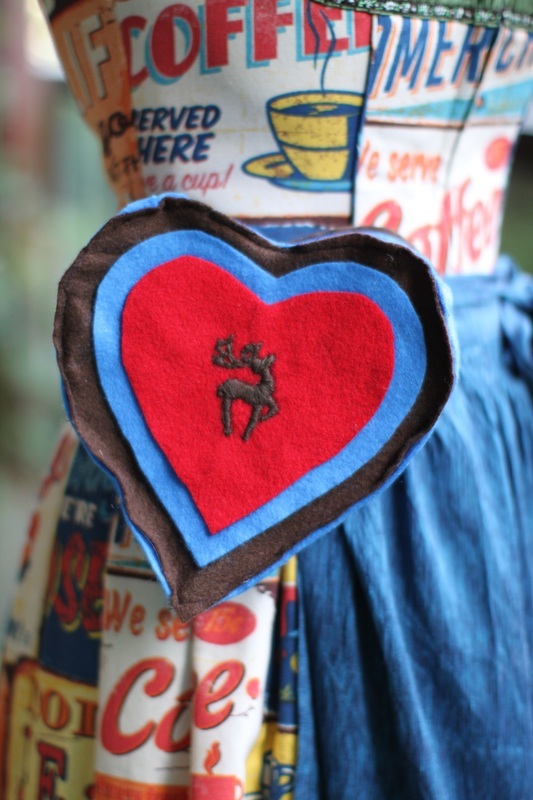 Cut a small felt heart and embroider a pretty something of your choice. 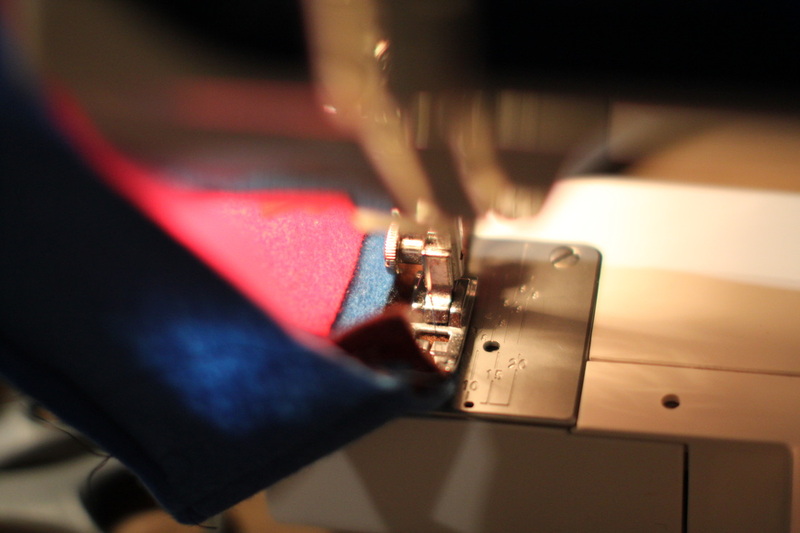 If your embroidery skills are as non-existing as mine, you might wish to opt for a contrasting felt piece, iron-on, or nothing at all. 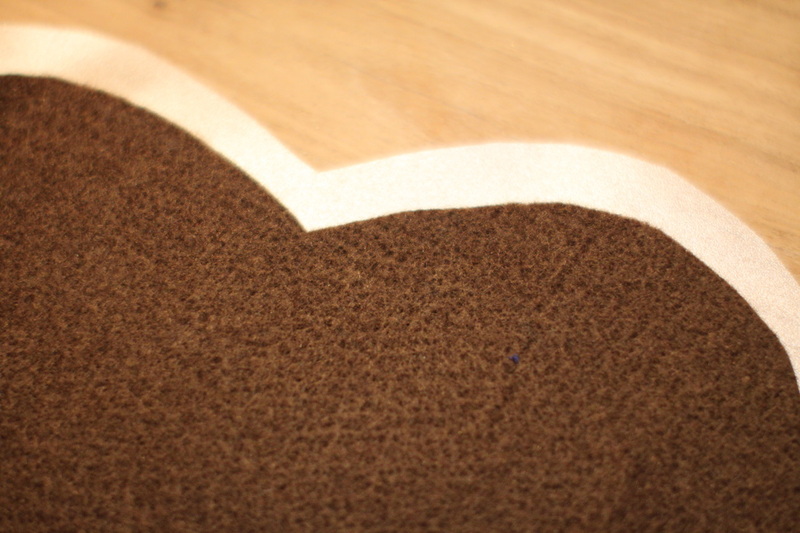 Hot glue the small hearth on top of a bigger felt heart of a different colour. 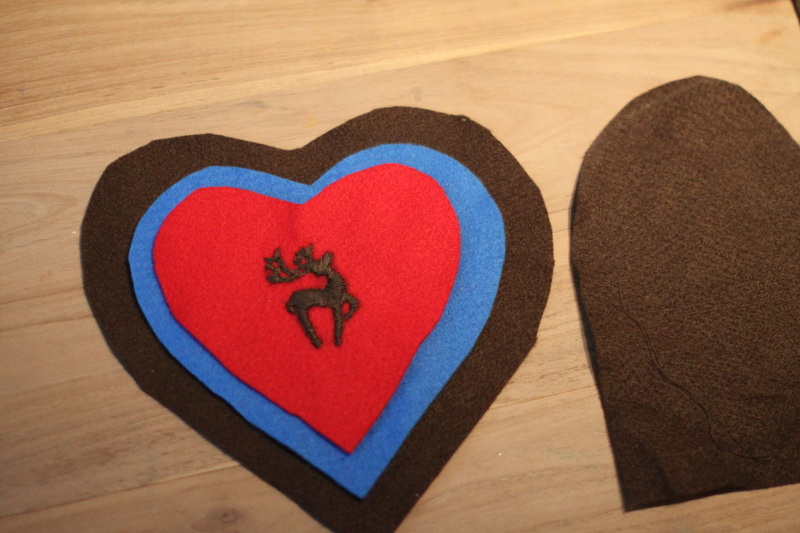 Cut two even bigger felt hearts of a third colour. 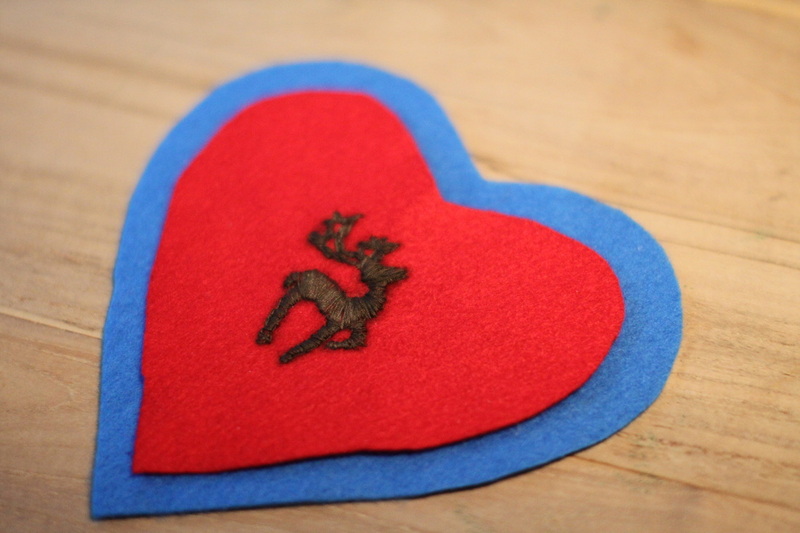 Hot glue the two smaller felt hearts on one of the big ones. 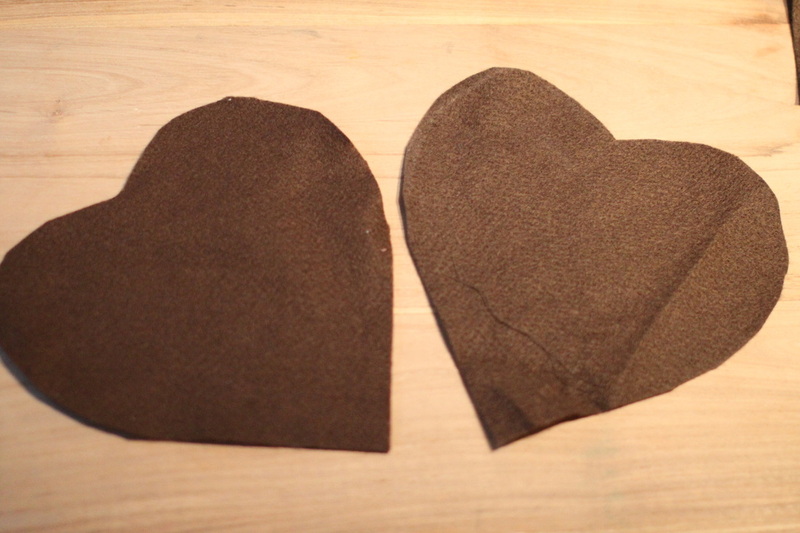 Cut a plastic heart to reinforce the second big felt heart. 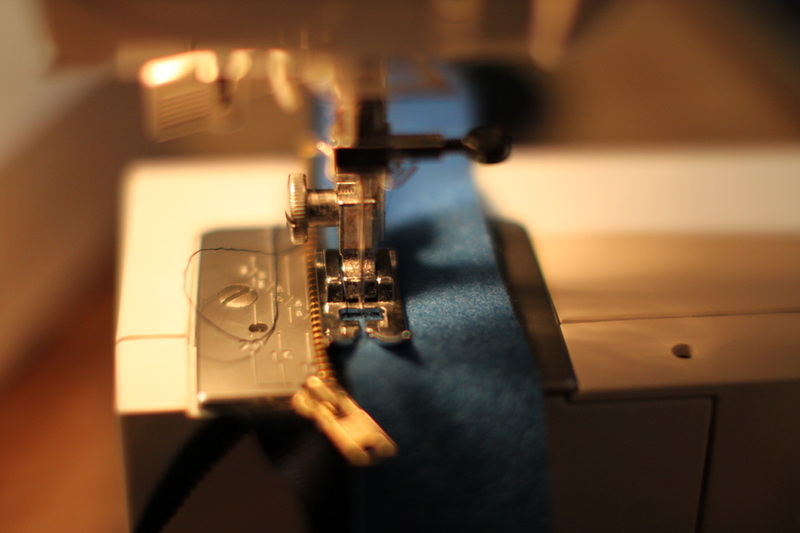 Don't attach for the moment. 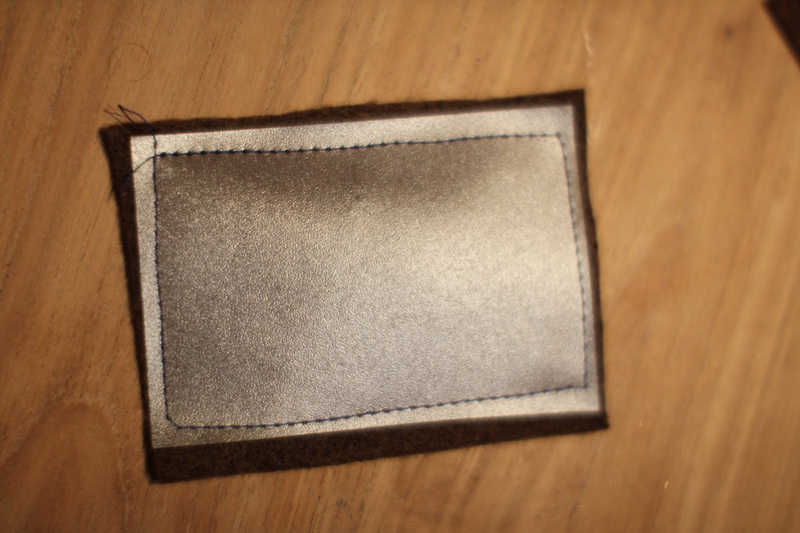 Cut out two small rectangles, one from felt and one from plastic. 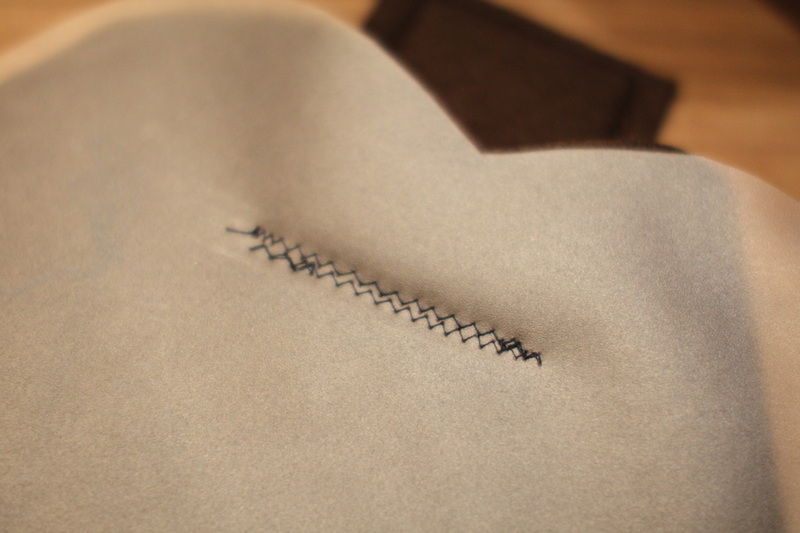 Stitch together. 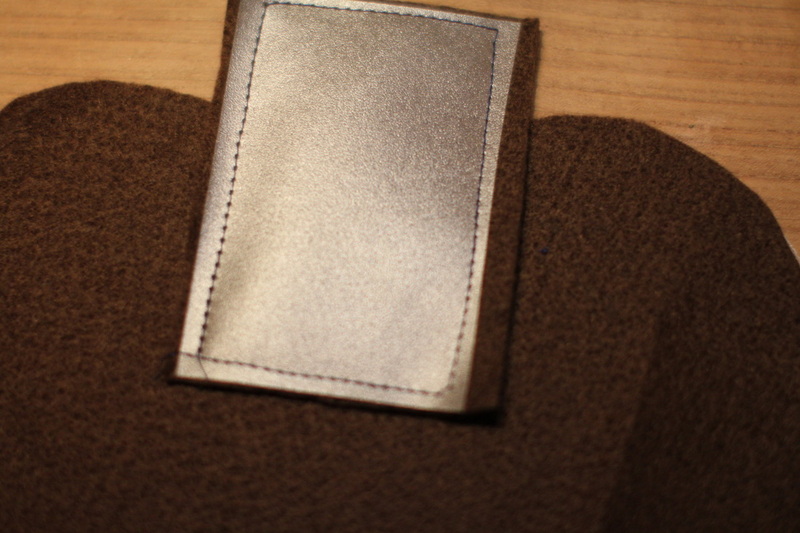 This is going to be the piece that holds the purse, in case you don't want to put handles. 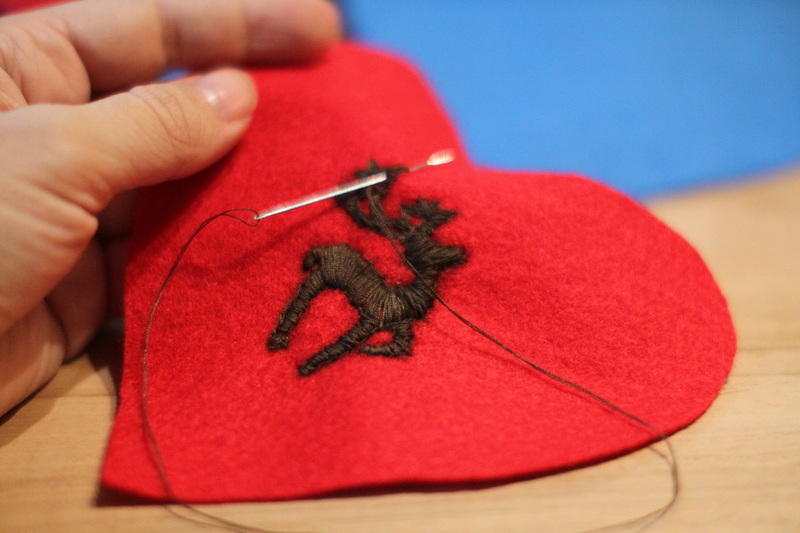 Sew to the second big felt and plastic hearts. 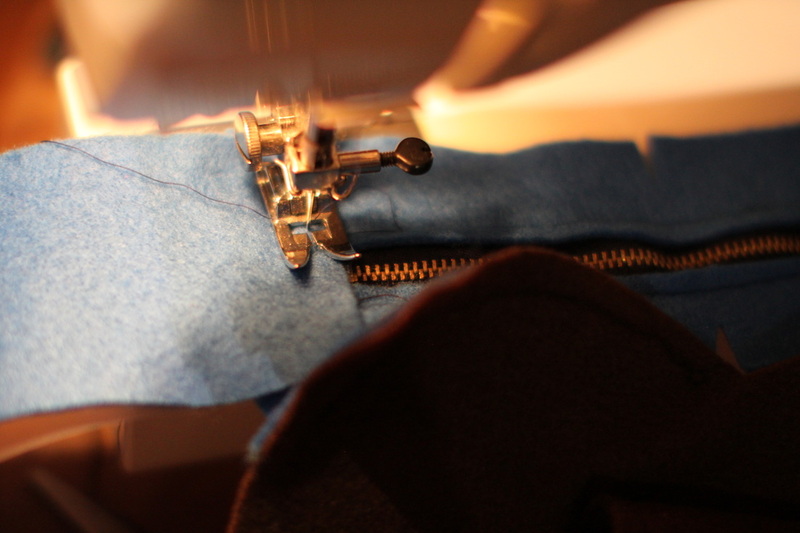 Turn and stitch the other side. 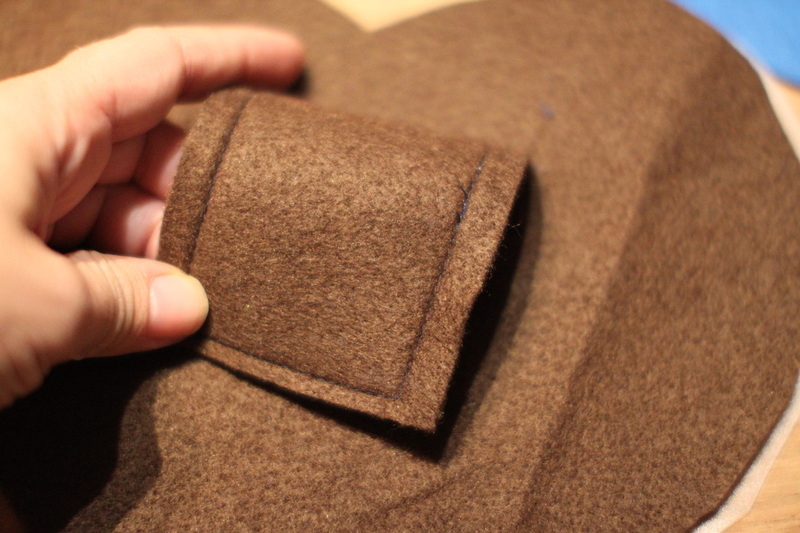 The hole should be big enough for your apron tie (or belt) to go through. 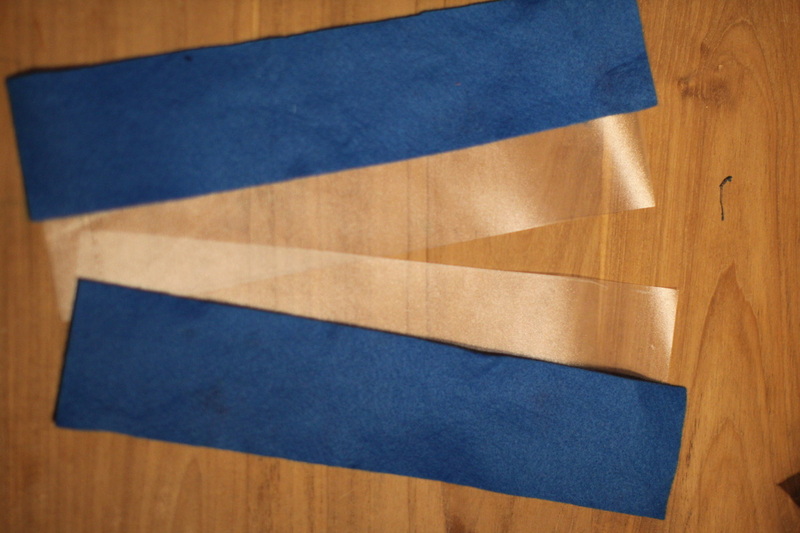 Next, you would need several long felt pieces, matched with plastic reinforcements. 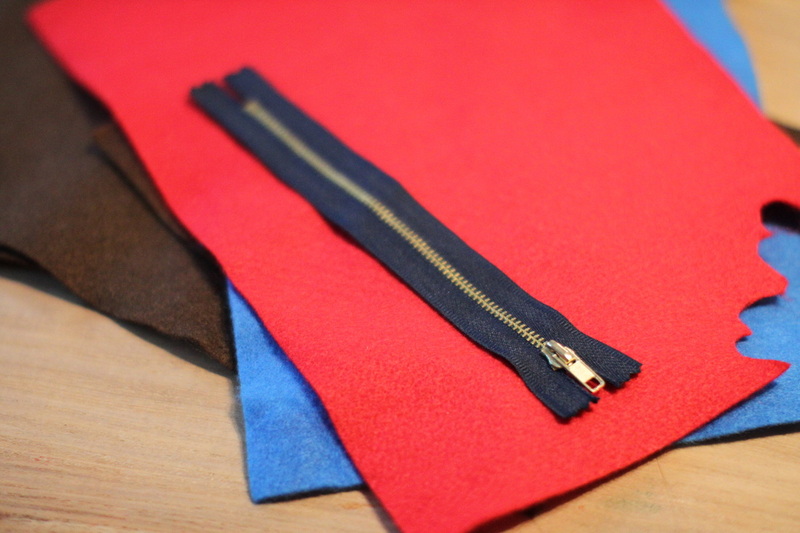 Cut one of the felt pieces alongside in half and sew the zipper in the middle. 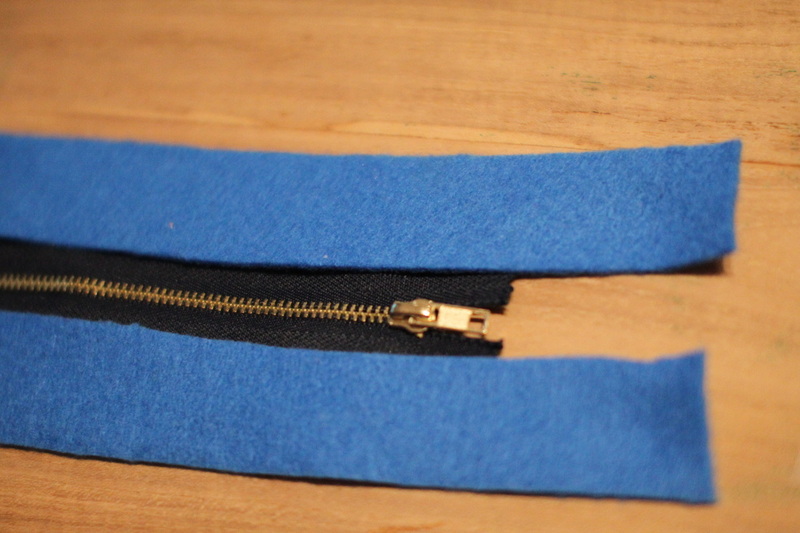 Attach long pieces (optionally reinforced with plastic ones) to zipper piece. 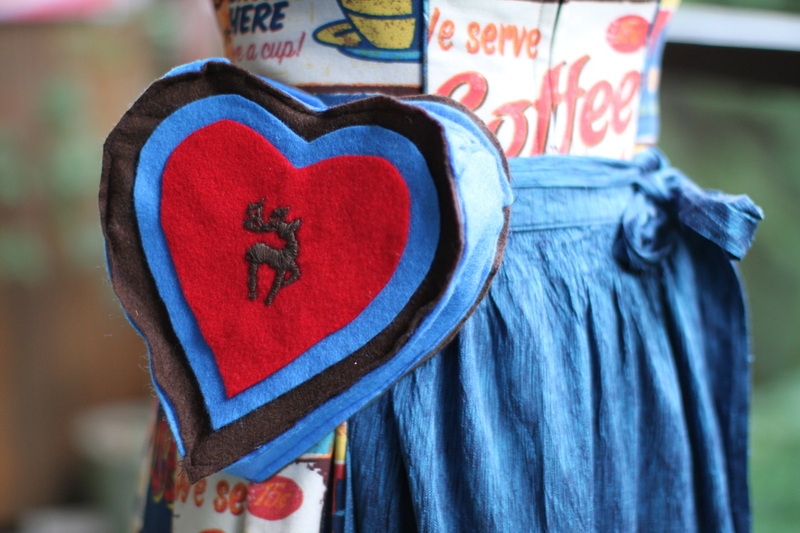 Then sew along the back of the purse (the big felt and plastic hearts). 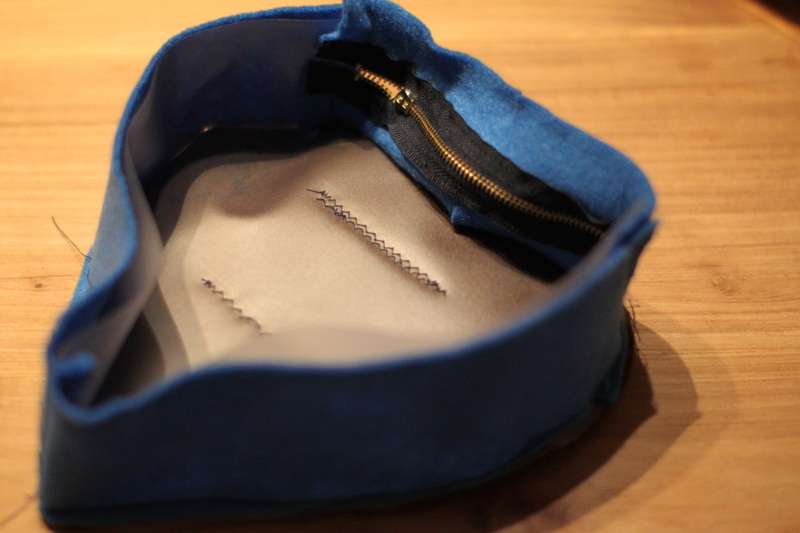 Sew the front of the purse right on top. 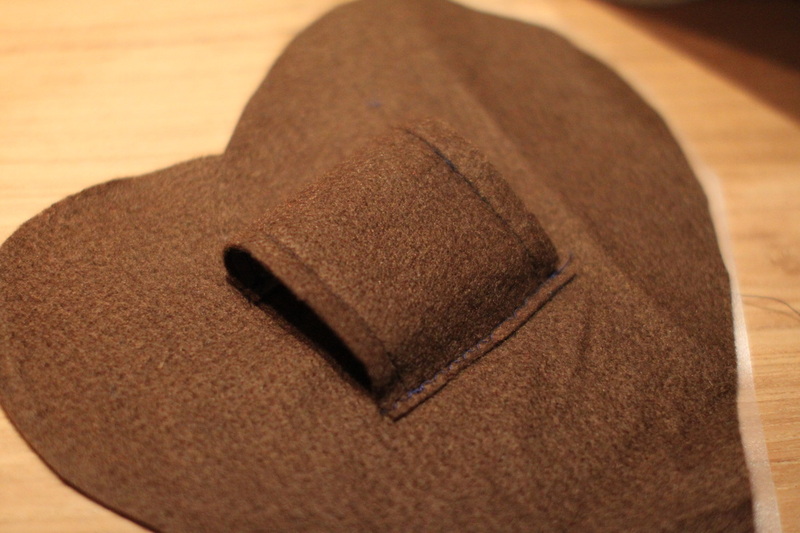 I didn't use any reinforcements for the front, as you already have three felt layers and some hot glue. 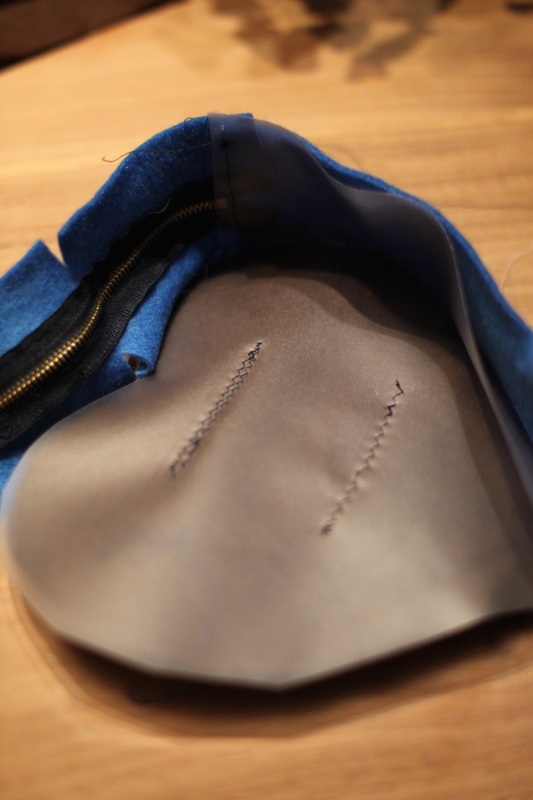 No fill with essentials, tie your apron through it, and go have a beer. 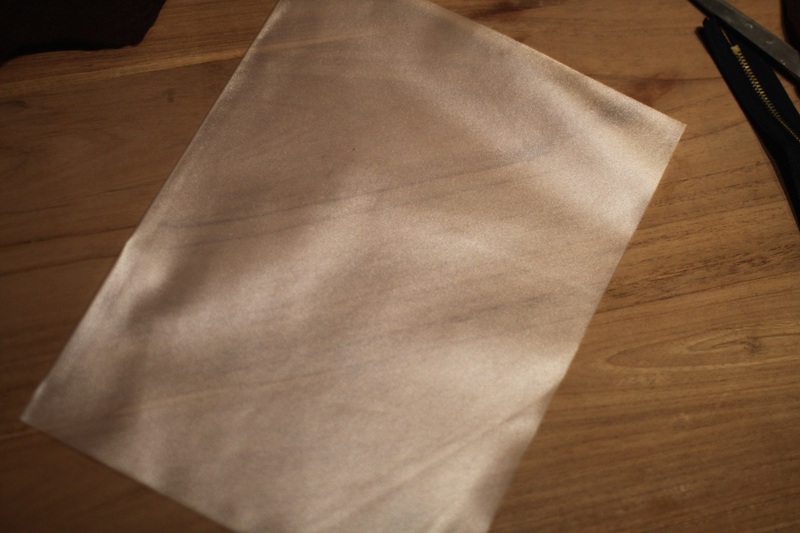 Happy drink... eeehr... crafting!